La Salle didn’t do a lot in non-conference play, but that being said, the Explorers didn’t have a ton of opportunities to get quality wins. They had to go up against #1 Villanova on a neutral court (and actually played the Wildcats really well), and also had to face what’s becoming an improved Georgetown team out of the Big East. That said, this is no excuse for La Salle’s play overall. The Explorers’ defense was abysmal throughout non-conference play, allowing teams to shoot better than 43.1% from long range. La Salle snuck away with some decent wins here and there, and given the outlook of this team, it wasn’t an awful non-conference slate. 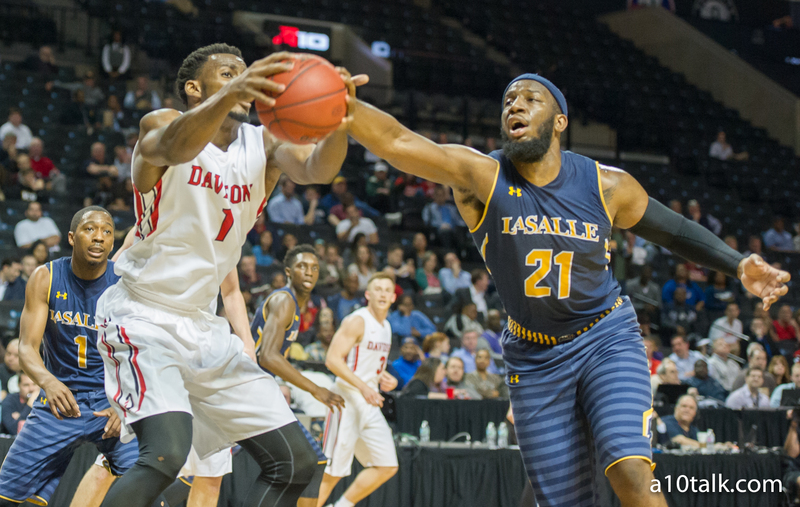 La Salle enters A-10 play at 6-4 and will look to be a surprise Top-5 team in the league this year. La Salle’s two best wins came at home over Florida Gulf Coast and Lehigh. From a mid-major standpoint, sure, these are good wins over teams that are likely the frontrunners in their respective divisions. From a national standpoint, these wins are just so-so and won’t do you much good if you’re a program that’s hoping to make it to the Big Dance. But for a team that won just 9 games in total last season, I think the Explorers will take it. La Salle wasn’t able to beat Drexel or FGCU last season but got those wins this year, so it’s a step in the right direction. A triple overtime win over Mercer may have been cool, but the Bears are 191st according to Kenpom, so La Salle has to be relieved it picked up that one. None of La Salle’s other wins are very noteworthy, but every team has its buy games, and with the exception of 1 (we’ll get to that), La Salle took care of business against the underdogs. La Salle’s worst loss, hands down, came against Texas Southern earlier in the season. Honestly, that’s the only thing really holding this team back right now. If you think about it, La Salle played Villanova very tight, it went on the road and lost in overtime to a Temple team that’s looking like it could be a bubble team at the end of the season, and it stayed pretty close with Georgetown on a neutral floor before the Hoyas ran away with it in the second half. This team has undoubtedly showed signs of improvement, and the fact that it can even hang around with top dogs is a great sign for this program. La Salle only managed 47 points against Villanova last year while notching 79 against the Wildcats this year. The loss to Texas Southern is bad, but that’s about it. Without a loss to Texas Southern, this team is average around the B+ range, but that loss drops the Explorers down a bit. Had La Salle managed to steal one on the road over Temple or beat Georgetown in Miami as well, then we’re looking at an A for the Explorers. Obviously, we can’t look at it like this, but you should know that La Salle was pretty close to having a very solid out of conference showing. I still think this is a sleeper team in the Atlantic 10, but considering this team hasn’t faced a lot of mid-level talent (like teams in the A-10), I’m really not sure what to expect. Conference play is going to be very telling for this La Salle team. Check us out on Twitter and like us on Facebook for more La Salle content.